Have American Tech Companies lost their way? Windows 7 RC1 is now officially available for public downloading, the release candidate is set to expire on June 1, 2010 and will start to begin shutting down every two hours from March 1, 2010 you’ll need to install a non-expired version of Windows before March 1, 2010 to continue using it without expiration, after installing Windows 7 RC you have 30 days to activate your copy of Windows 7 online, you can follow the simple online activation process as detailed next for a fully functional genuine activated copy of Windows 7 till June 1, 2010. Download and install latest build of Windows 7 from links provided here. 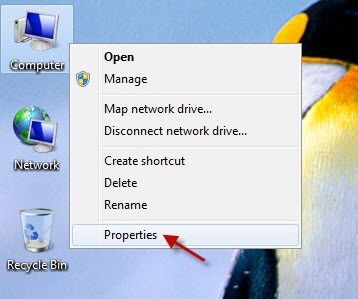 Once installed right-click Computer icon and select Properties. Scroll to the bottom of page and click Activate Windows Now. 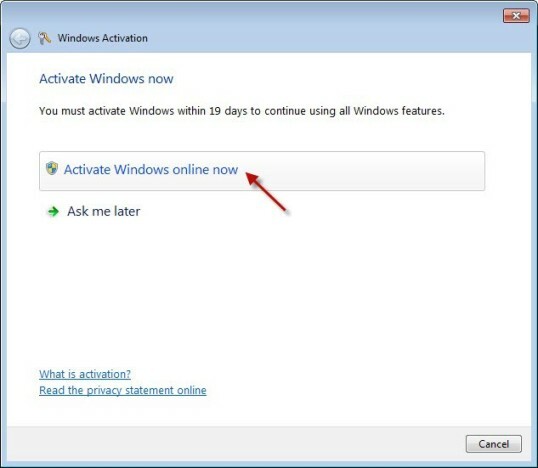 Click Activate Windows Online Now. 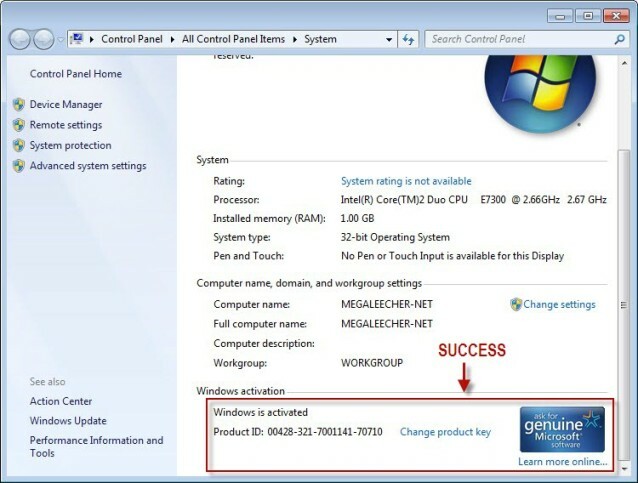 You will now need to enter your Windows 7 product key, you can get genuine Windows 7 Activation keys provided from Microsoft from here, copy any key and enter it as shown below, click Next to continue. You must be connected to internet for activation to work, let the process finish. Enjoy, you fully activated copy of Windows 7. Anyone who didn't know this and has installed Windows 7 needs to kill themselves ASAP. Don't be over-smart their are users out there who are not tech-savvy as you are, this post was read by 2490 users till now so I guess their are quite enough of our kind, I was unable to find the activae option so googled it and here I am at the right place thanks a lot. Perfect !!! This post was great for me ! i'm having the same problem... got the product key already?? can i have a copy?? what should i do ..
Can you please send me the activator for windows 7 ultimate 7600? i need an activation product key. Please email it to me. i have windows 7 ultimate x32 bits operating system and 7601 genuine act.production key. im having the same version..
im having the same version.. u got the product key? hey..have you got the product key?? i am using win7 ultimate build 7600 and i'm struggling to find a crack that is working, please send me the acticator. Would u pls send me the key for Win7 ultimate? THANKS A LOT! can i have ur win7 build 7600 activator..
will you help me to activate my windows 7 ultimate build 7600 plz. 01739008128 Please contact with me. I need your help. heyy i have windows built 7601 can u please help me fix this problem? May I please have the activator? pls email windows 7 ultimate product key & crack file, TQ! amen to that bro!! im looking 4 illegal sfuff man!! Can you please send me the activation code / Crack of the Windows 7 Ultimate 32bit???? omg you everything is gonna be deleted ? I'm not wise in the world of computers, but I like to go into the programs themselves just to see what is in them. I have some odd copies of Window 7 and I see a file called Sources and a file called Product under [cmi] there are a bunch of Product Key numbers listed. I was wondering what they are? Are they useful for anything except taking up space? How to activation offline ? Awesome!!!! It works... Gr8 thanks.. 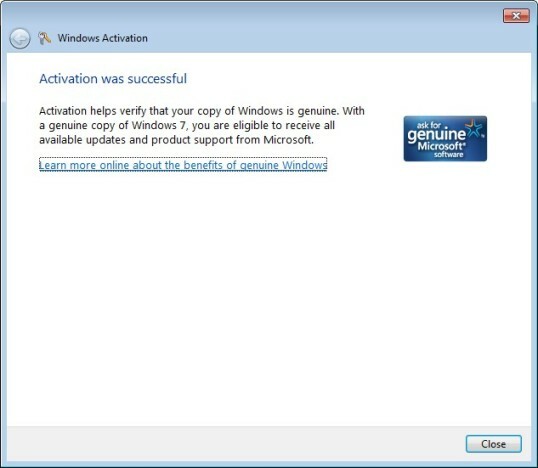 If you have got the windows 7 ultimate activation key , can you please send me. on windows 7 . I don't have windows Vista. I have only windows 7 ultimate from some one. i did it and gr8 work thx. I'm unable to crack my Win7 OEM x86 ultimate.i tryed and crack operation was successfull but when i check the validity of my win7 still 27 days left.does anyone know how to get valid Activation. For those that want to activate offline, follow the steps above but instaed of clicking on Activate Online Now, there should be another button that says "Show me other ways to activate windows" if you click that, it gives an option to activate by phone. It will give you a number and an installation ID. You need to call the number and it's all automated, so you basically talk to a machine, but it's very straight forward. It is somewhat time consuming 5-10 min depending on if you mess up, but it will get your activation going. After you say your installation id, they automated system will give you a activation key and you will need to put it in. Once it's all done, click next, and Voila! you're all done. Works 100%. Just bought an Acer Aspire 8930G with the 7 upgrade on disc and wiped Vista off the 500GB HD altogether. Using KllDisk to wipe the drive clean I installed the upgrade disc which led me to another forum and then here, after having the genuine upgrade key refused. I have to say thank you to the originator of this work. Installing twice as has been suggested before would have been a PITA but thankfully I found my way here. Kudos to the originator and for this thread. Anyone knows who to activate online Windows 7 professional once it had been downloaded on a computert and installed on it? i need activation key windows 7 ultimate. I get a Win7 ultimate! So, I have naw a problem with activatin! Don't ask me haw but it could still runing if you halp me! If zou need more iformatin, I'll be hear! PLease can you send my an serial key for windows 7 to halloyouri@hotmail.com? hi can anyone please send me an activation id for windows 7 ultimate??? many thanks in advance!! i need product key to activated my window 7. CAN ANYONE HELP ME?? I am getting the message "You must activate windows today". Please help me...... Any one please send me product key for windows 7. Thanks a million in advance ............ pls pls pls .... send me the key. Please send me an activation key for Windows 7 ultimate!!! Can someone email the Windows 7 activation details. thanx a lot ......plz help me !! Please would you send me activation key for Windows 7 32 bit!!! Please send me activation key for Windows 7 32 bit!!! Can you send an activation key for w7 ultimate 32, please? Could u please send for me win 7 ultimate (32 bit) activation keys. Does anyone have the Windows 7 key for Ultimate? Much appreciated! Could someone please send the Windows 7 Ultimate 64-bit activation keys for the mail id rakesh.sgr@aol.in. Windows 7 Ultimate Activation key. Please can somebody help me!! !with the activation key, mail me. 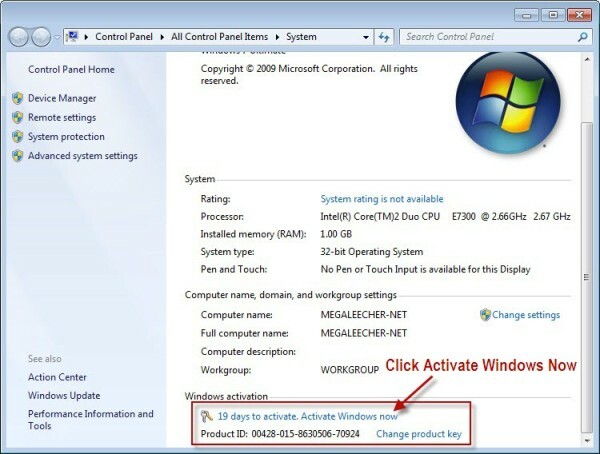 please activation key for windows 7 ultimate. thanks so much , i appreciate how this windows 7 key ultimate has helped me to activate my machine i was hopeless but now am hapy for that. I have windows 7 ultimate installed in my system. It is giving that i have to activate in 30 days. So if any one have crack please send to naresha.nitw15@gmail.com to make it activate. Windows 7 Ultimate 32 bit activation key needed plZZZZZ??? I have windows 7 ultimate 32 bit installed in my system. It is giving that i have to activate in 30 days. So if any one have crack please send to lhenryinc@gmail.com to make it activate. 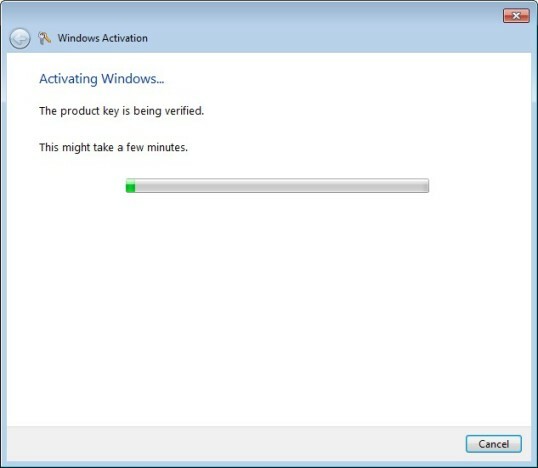 i need a activation key that 100% work for my windows 7 ultimate build 7600 32bit pleazzzzzzzz.. I would kindly walk on fire and pray for your good fortune for a crack at it. please help me for doing geniun win7 .i need serial number valid. i need product key please send it to me please. is it possible send me a crack or serial to my windows 7 ultimate? Please send the link to me. Thanks in advance. downloading install Remove WAT and click on "Remove WAT" button. After Computer will restart. After you can see Your Windows 7 is activated. This way is very easy & total FREE. Will someone PRETTY PLEASE send me a crack or whatever I need to activate Windows 7 on my laptop? I installed my sons Windows 7 disc, and it won't take the product key!!! I had no idea that Microsoft would be so selfish and only allow one version of Windows 7 to run on a home network. 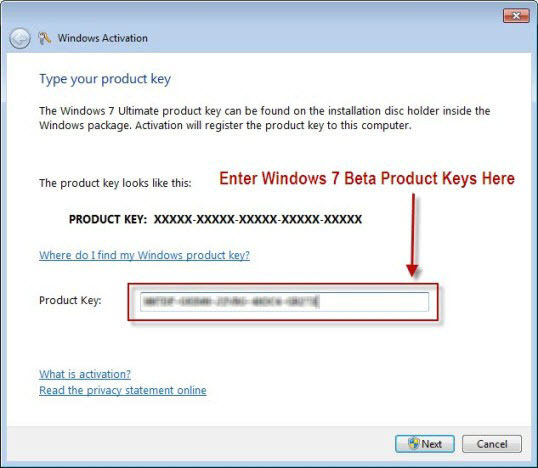 please send me product key activation for windows 7 ultimate. I've got one, but it didn't work. so I'm running on the trial mode..
please send me windows 7 ultimate activation key, I really, really appreciate it in advance!!!!!!!!!! plz sum1 tel me how 2 activate my windows..it has xpired already!! Windows 7 has become so cheap. why not go legal. you get so much more to run legal software. anyway statistics say that for every legal copy purchased and activated 3 more are cracked. The developers loses money from people who download and install cracked versions of windows, and therefore will have to charge more on there products. And at the end of the day the people who want to buy legal software end up paying more for a product, where they end up paying for those running cracked software. Yes in some cases the software becomes so expensive that you end up cracking the software because it is too expensive. Technically if everybody were to actually buy a product like windows 7, it would be cheap. But... that's just the odds. Hello Can you please send me the activation key for windows 7 ultimate 32 bit. Its just 2 days to go.. I have windows 7 ultimate 32 bit installed in my system. It is giving that i have to activate in 30 days. So if any one have crack please send to engr.mct@gmail.com to make it activate. I have windows 7 ultimate 32 bit installed in my system. It is giving that i have to activate in 3 days. So if any one have crack please send to Jetmir24@msn.com to make it activate. COULD U PLS SEND ME PRODUCT KEY TO faizal_fbi87@hotmail.com. can somebody send me activation key? Please send me the produck key of WINDOWS7 ULTIMATE 32 bit before 15 of SEPT 2010 after this i would not be able to use my computer ... Its a cracked operating system. please send me the genuine windows 7 product key or to activate the windows 7 .
i want to change the product key of windows 7 ultimate today .the copy of windows 7 is not genuine.so i have needed the product key. please send me a product key for windows 7 ultimate 32-bit...to broulistasos@hotmail.com thanks in advance! please send me the genuine windows 7 ultimate 32 bits product key or to activate the windows 7 . thank's alot.. I DESPRATELY NEED AN ACTIVATION CODE FOR WINDOW 7 ULTIMATE. I WILL REALLY APPRECIATE ANY FORM OF HELP RENDERED TO ME. please i'm in trouble. my system is malfunctioning bcos i lack genuine activation key. i beg you good friends help me with current activation key for Window 7 ultimate running on Toshiba satellite A305 - s6905. Thank you. Can somebody send me Win7 Ultimate 64 bit Actiovation hax? Please send me the activation code for windows 7 ultimate. The proscale solves all problems with activation. Works - itself tried. win 7 product key for ACER ASPIRE 4736Z? pls send me the crack..